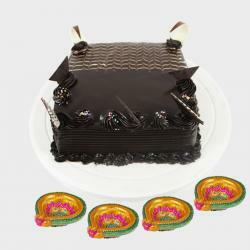 Product Consist : Half kg Chocolate Cake with Assorted Fire crackers (Worth Rs.300/-) (Note: Types of Fire Cracker are depends upon their availability no specific choice). 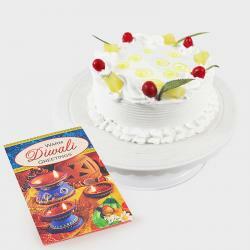 Celebrate this Diwali with ultimate fervor by sending exceptional gifts to your dear ones. This is a marvelous gift combo of a round shaped half kg Chocolate cake that tastes divine and fire crackers that include sparklers crackers ground chakkars and sky shots. 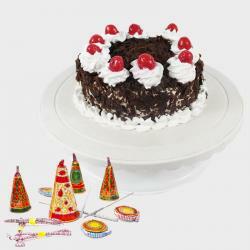 The Chocolate cake is elegantly garnished with flower shaped frosting. This beautiful gift hamper is perfect to brighten face of your loved ones with lovely smiles. 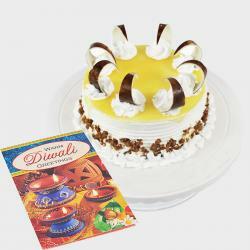 So order it today and make the Diwali celebration a memorable affair. 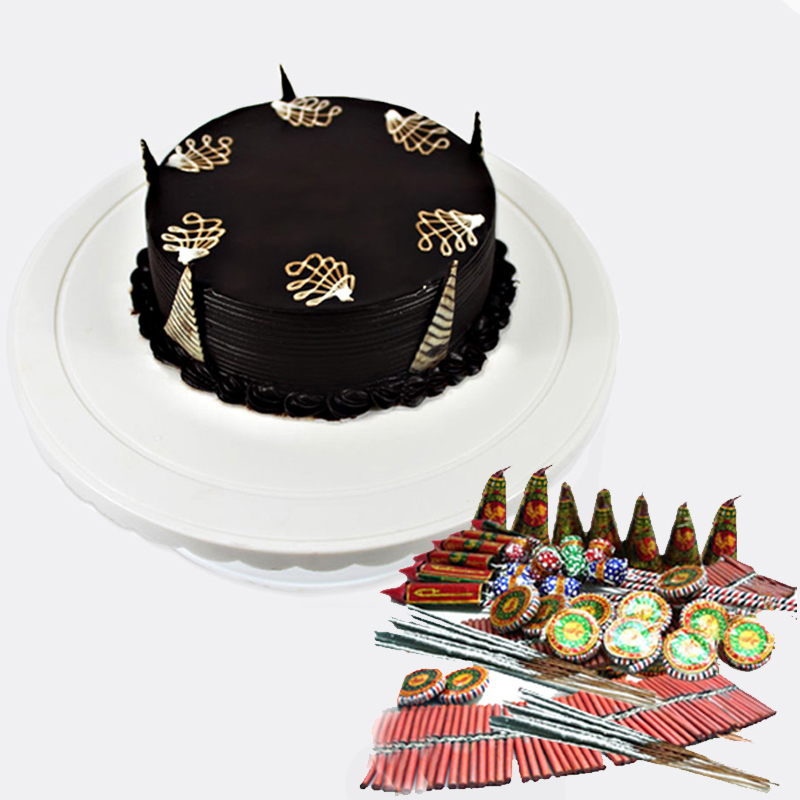 Half kg Chocolate Cake with Assorted Fire crackers (Worth Rs.300/-) (Note: Types of Fire Cracker are depends upon their availability no specific choice).